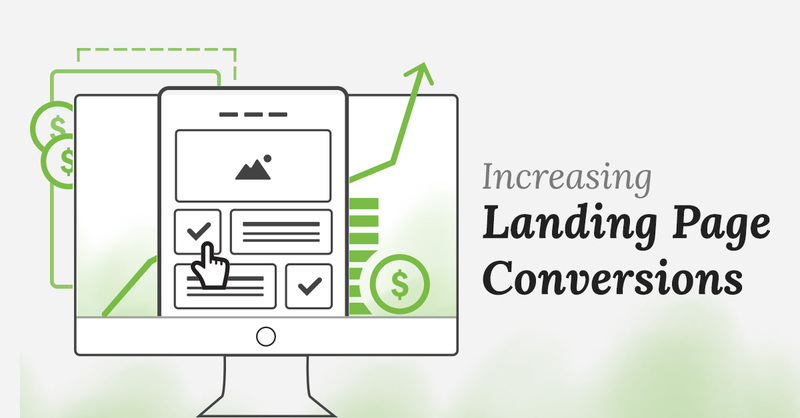 When done well, high-conversion landing pages can generate leads, make your business thrive, and can even make the difference between a profitable quarter and a slow season. However, increasing the conversion rate is not an easy thing to do, considering that the average attention span online is around 8 seconds (this according to Unbounce). This means that your landing page must grab the attention of visitors quickly and provide a deliberate call to action (Donate Now; Free Download; Buy Now; Sign up Now; Learn More) before viewers close the tab. Before creating your landing pages, it is important that you identify your target customers, their online behaviours, and what appeals to them. Create personas of your top customers by looking at your sales data and analytics to help give your landing pages an element of purpose. These personals will help you craft a message that targets their pain points effectively. Using bullets instead of paragraphs. Adding value to the visitor by focusing on the benefits of your products or services – not the features. Keeping the content brief and to the point without excess clutter. Landing pages should not be distracting. Leaving white space (empty space) so your viewers pay attention to your offer, the benefits, and the call to action. Make use of complementary colour schemes to make the different elements stand out, especially the CTA. Keep your vital content (benefits, offers, form fields, CTA) above the fold. It’s been found that people rarely scroll down unless there’s something motivating them to do so. Provide high-impact imagery or a short video demonstrating how people interact with your product or service. There are many data analysis tools that you can use to derive useful data and identify trends that guide you to improve the performance and effectiveness of your landing pages. Metrics like conversion rate, bounce rate, and time spent on the page can help you determine whether the page is performing. In addition to analytics data, you can use visitor replays and dynamic heat maps to obtain a more insightful look at how users are interacting with your landing page, so you can personalise and optimise it for the best performing elements. Although landing pages are intended to drive visitors towards a specific action, you can leverage the page to engage users beyond that point by including simple links for your Facebook fan page, an RSS feed, a newsletter, or blog behind the lead form. Unfortunately the fact remains that having a great landing page does not matter if no one visits it. Keep proper SEO tactics in mind (like including video content) to boost interaction and traffic.